The Wii utilised common technology in clever ways and sold over 100 million units - that's the perfect combination to prompt a whole lot of patent-related court cases. Nintendo has successfully defeated the majority of patent claims against it in recent years, and has now confirmed the end of another case. This time around Motion Games, LLC had appealed against a decision to invalidate its patent claim against the Wii Remote, and that appeal has been rejected. It's another solid win for Nintendo's legal team, though the press release deviates from some of the usual language to criticise the tactics of Motion Games during the legal process. The big N was particularly unhappy at demands for senior executives to appear in court, for example - an excerpt from the press release is below. Motion Games' patent described cameras and systems that track assembly-line components, such as car parts. Motion Games asserted that the Wii Remote infringed that manufacturing patent. During the litigation, Nintendo successfully overcame numerous needlessly burdensome discovery demands from Motion Games, including improper demands to interrogate top-level executives. "We are very pleased with the court's confirmation that Motion Games' patent is invalid and never should have been granted," said Ajay Singh, Nintendo of America's Director of Litigation and Compliance. "Litigation tactics cannot save an invalid patent, and such attempts only underscore the need for patent reform that reduces unnecessary burdens on defendants. Nintendo has a long history of developing innovative products, and will continue to vigorously defend those products from patent lawsuits." That's another case down in the ongoing patent battles for Nintendo's legal team. Surely these idiots see how many of these suits Nintendo have won over the years? Its not a 100% record sure, but enough to prove that messing with them is a very bad idea. Ok this is pointless. Nintendo is moving past motion control now with the NX what do these idiots have to gain by bring up something nearly two generations ago? @Tasuki - They would gain millions of dollars in royalties if the lawsuit is/was valid. Even if they were only awarded $0.10 per unit sold you'd get over 10 million dollars. Another down, 3 billion more to go! About time these leaches started sueing each other, there's been enough of them trying to claim for similar reasons. good for big N. hope to see nx news soon. It's like how Plankton always tries to steal the Krabby Patty formula but never succeeds. And that's another troll patent to add to the pile! Jesus, how many more of these are there? @Sanicranfast Yep. Can't take down a Goliath. Ah, the desperation of some people. @Sanicranfast The burden of proof is on the defendant not the prosecution. So the defendant has to comply with the demands of the offended company, which in this case it seemed like the company may of wanted to get new ideas by interrogating the higher ups who are in Japan. @Gerbwmu Yeah but it wasn't and they would have known that. The chance of winning was always zero. oh man, this is too good. bury the patent troll and spit on his grave. that's how you do it. 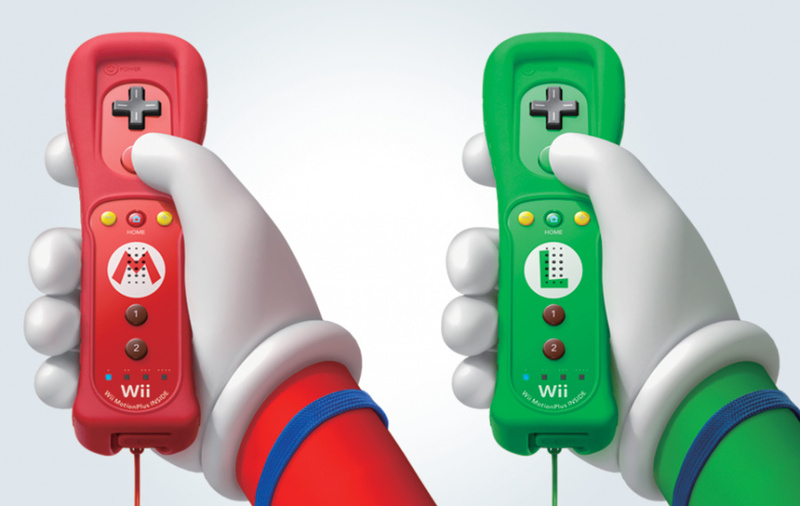 Dose the character Wii remotes work with the Wii. @PorllM - I'm sure they had an idea that they had a small chance of winning but they probably have a corporate team of attorneys they are already paying so it doesn't cost them anything to take that chance. Of course as Nintendo stated there needs to be some reform in the laws so companies are less likely to take the 1% at winning risk. @andrew20 they are just wiimotes in a different color...so yes. it even says "Wii" on the hardware itself. Does Ninendo get sued this much in the EU/Japan or is it just the USA as seems to be the case? Is it the law there that makes it easy or the companies more keen on grubby money tactics than elsewhere? "Motion Games loses its appeal"
Nintendo gets so much legal crap for the Wii. They legally printed money with it, for goodness sake. Companies out there with motion patents should let Nintendo have their money. They need it to stay afloat for another year with the disastrous Wii U and the outdated 3DS being their flagship products on the market. When Nintendo has a good idea, they make money. When they have an over-utilized or terrible idea, they don't make anything. Let them have the profits of one of their best for the time ideas in recent memory. Thanks.